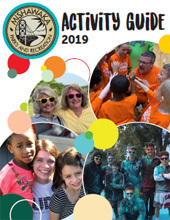 Mishawaka Parks Adventure Day Camps provide a safe and nurturing environment where children have fun, make new friends and explore new activities! All camp activities are created around exciting weekly themes with an emphasis on building confidence, self-reliance, problem-solving skills. In 2016, the City of Mishawaka entered into a partnership with the School City of Mishawaka to utilize a small “greenhouse” located on the 2nd floor of Mishawaka High School. The City was allowed access to the room to grow plant material for the City and in return, offered an after-school program aimed at engaging students in horticulture and various landscaping practices.